I consider finding the raw food lifestyle one of the biggest blessings of my life. The longer the time I spend raw, and the older I get chronologically, the more evidence I see in the value of being 100% raw. The very first year I saw big improvements in health and appearance. But it's only when I came to my mid-fifties did I feel bowled over by the benefits. Only then did I feel them pervading every dimension of my life, every day. It’s not easy. It’s not without risk. You can’t play with 100% raw. If you yo-yo back and forth, raw and not, you can hurt yourself. You can quite literally damage your health in trying to improve it. You’ll also find fresh anti-aging insights that I’ve learned only recently. Have you ever written me an email, or posted a provocative question under one of my videos, and not received an answer? Try as I might, the volume of emails and postings I get is so great I simply can’t answer them all individually. So I decided to assemble a fleet of the more challenging questions I’ve received through many months and address them in this e-book. 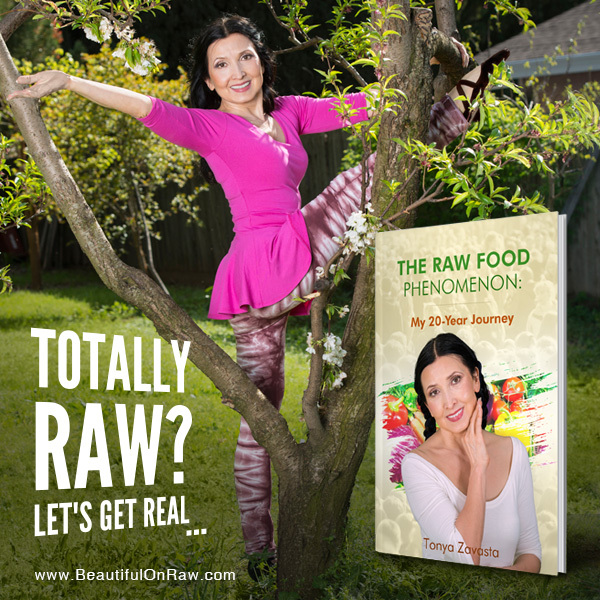 Victoria Boutenko said it’s dangerous to be a raw vegan for more than about three years… Why did Victoria Boutenko not attain the level of health that you have on an all-raw diet? Tonya, why you don't undergo even some very basic medical testing? Are you afraid that testing will show some nutritional deficiencies on your 100% raw food diet? Other raw foodists might be healthier, slimmer, more flexible than the average person, but they almost all seem to look old after 50 or so. Why is that? I’ll address these and many others in this ebook. Let me define what I mean by the 100% raw food lifestyle. Suppose you’ve been eating exclusively raw for two months, and then had a meal of something cooked. Then you go back to eating raw for another three months. In my book, you’ve been a raw foodist for three months—not five. 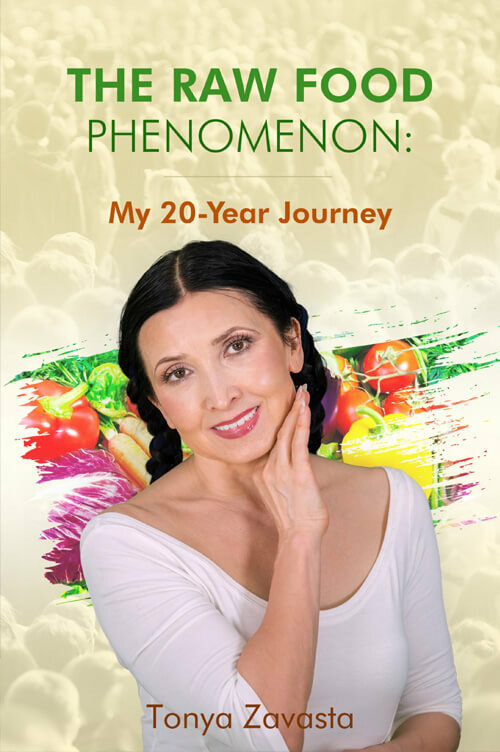 I’ll tell you what happens when you have an uninterrupted 20 years of eating only raw foods. I want to prepare you for some things you can expect over the long term when you truly become clean and healthy, inside and out. Your body will not function quite as it used to, nor will it function like the body of the “average” person. You will react differently to foods, medications and lifestyle choices. It will not be possible to compare you in any arena to the average Joe, because...you’ll no longer be average. I’m here to tell you about my own journey so you can map out your own, which is bound to be unique. Go raw if you mean it. Go raw if you honestly think it’s right for you. Go raw if you honestly think you can manage it. And if you don’t… then don’t. Here’s the thing: I’ll be happy with either decision, as long as it’s right for you, at the time you make it. 100% Raw Versus “Whole Food Diet”: Is Close Enough Good Enough? Vegetarian Diet...How Do I Get Enough Protein? Cooked Food Addiction: How to Overcome It? How Many Calories are in Raw Foods? Great newsletter! I always look forward to reading them.